So it’s the weekend and you feel you deserve a treat? 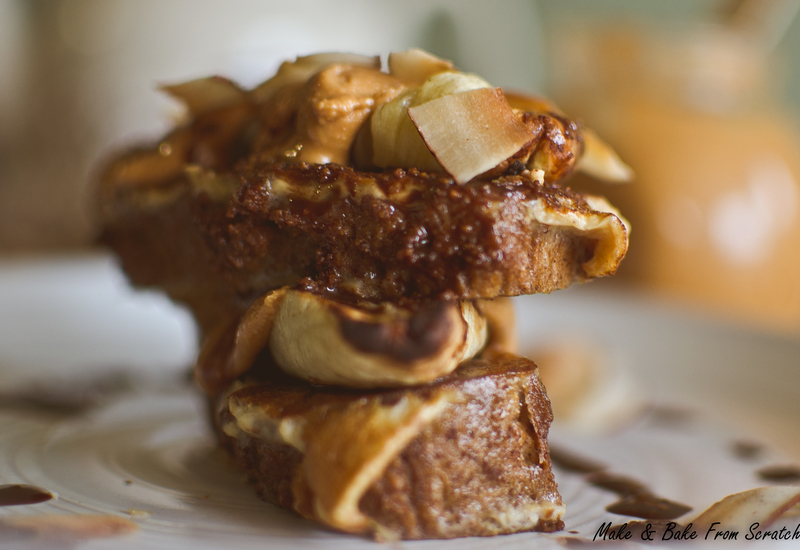 Perhaps “Coconut Loaf French Toast” might tickle your fancy? Grilled banana, homemade roasted almond butter made with love and drizzled in a raw cacao sauce, what more could you ask for. You will have to get the dishcloth and wipe the drool from around your mouth. The recipe is gluten-free, grain free and low in sugar. I used coconut milk to soak the bread, however, any nut milk would work or milk of choice. I made my own almond butter but you can use store bought. Always buy sugar and salt free nut butters. 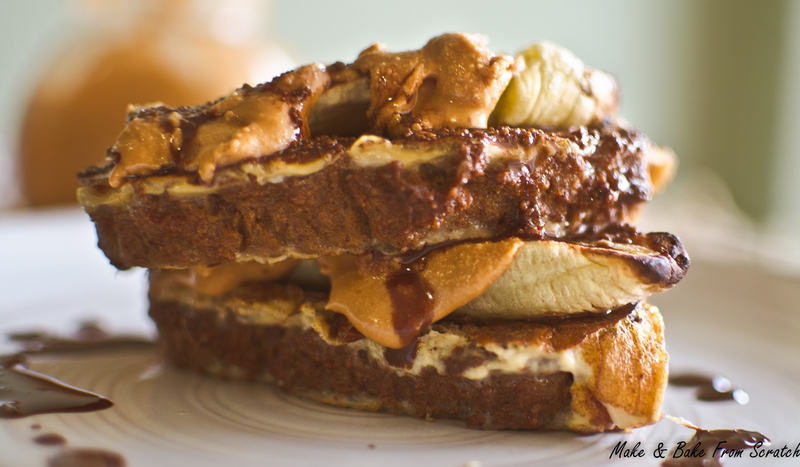 I did not make the almond butter the same time as the French toast, it was made a few days prior to this recipe. Some people might feel it is too much effort; therefore, store-bought might be the preferred option. 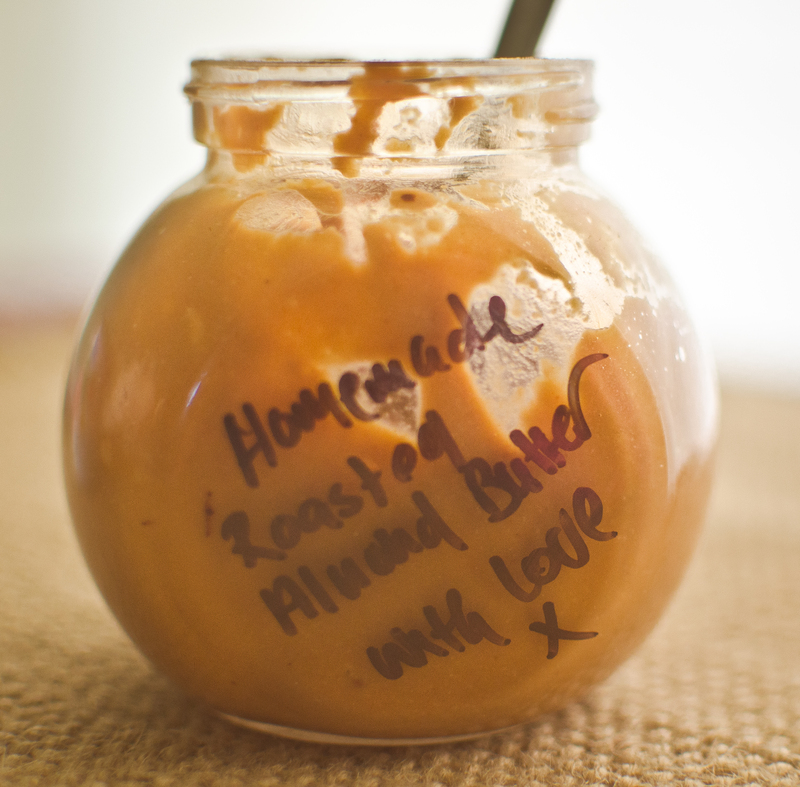 You could use peanut butter, macadamia or cashew butter as an alternative option. Coconut Flour – By consuming coconut flour you can increase your fibre intake which will also reduce the absorption of sugar into the blood stream and help lower cholesterol. Two slices per serving, remember to eat in moderation. Banana – vitamin B6, vitamin C, potassium, dietary fiber, and manganese. Almond Butter – Almonds contain vitamin E and manganese. They are a source of magnesium, copper, riboflavin (vitamin B2), phosphorus and heart healthy mono-saturated fats. Eat in moderation. Coconut Sugar – Low glycemic Index (GI) Sugar. (35 score). Is it a healthier version of refined sugars but should be consumed in moderation, substitute it 1:1. *I added 1 tbsp. cinnamon powder to my almond butter but it is not compulsory. You could add coconut sugar (1 tablespoon) or cacao powder (1 tablespoon) as an alternative. French Toast: In a large bowl add coconut milk, egg, cinnamon, vanilla and salt – whisk until combined. Heat pan to a medium temperature add ½ tsp. coconut oil. Soak the slices of coconut loaf in the liquid mixture; make sure they are not too soggy. Next pop them on the pan (I cooked two slices at a time, due to the size of the pan I have). Cook on both sides until golden brown. Grilled Banana: turn on grill to medium heat. Remove skin, slice banana’s the down the middle, lengthways. Place on tray and grill until golden brown. Homemade Roasted Almond Butter: preheat oven 175 degrees, place almonds on flat baking tray. Roast in oven for 25-30minutes until golden brown. Allow to cool. Pop in food processor and blitz. This can take about 20-25 minutes use a spatula to scrape down the mixture from the sides, switching the processor on and off until a creamy texture is formed. Spoon into (your mouth) glass jar for storage. Raw Cacao Drizzle Sauce: in a small serving bowl mix melted coconut oil, raw cacao, coconut sugar. Set aside until ready to pour over the dish. As you can see from the photographs I layered the French toast with banana, almond butter, sprinkled coconut chips and poured cacao sauce over the top. Feel free to eat it whatever way you want, whip out the French press and enjoy. Oh my word, this looks decadent!